Is that a 15 inch MacBook Air? Gary Hustwit got to visit Jonny Ive at Apple’s prototyping facility for his upcoming documentary Objectified. 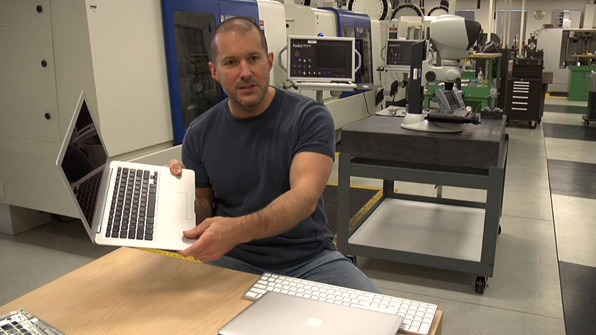 Jonny is holding a regular MacBook Air, but what is that next to him? It looks a little bigger… but probably isn’t. Anyway, it is interesting to take a quick peek at where the magic happens. Doubtful that Apple/Jonny would let Hustwit walk away with a picture of a prototype…But those are some pretty sweet waterjets in the background. See Jony in the trailer here.